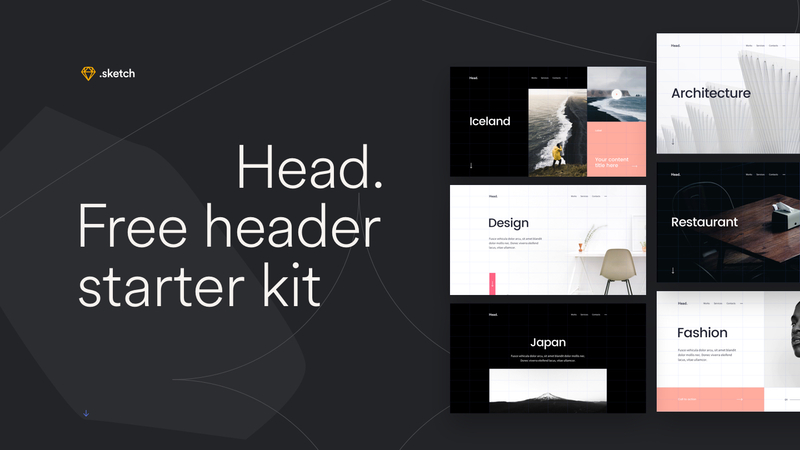 Head is a free high-quality user interface kit includes 6 modern headers designed for Sketch. 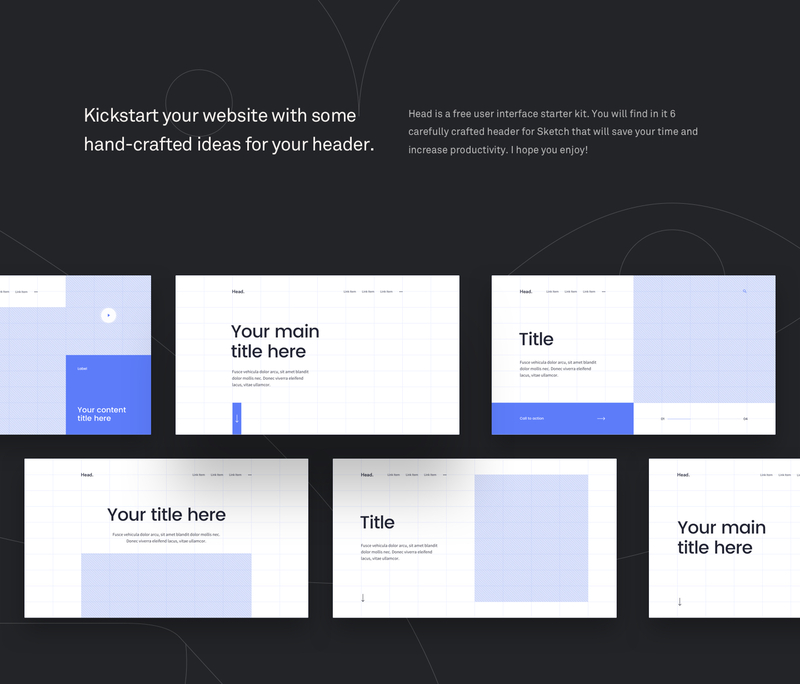 Kickstart your website with some hand-crafted ideas for your header. 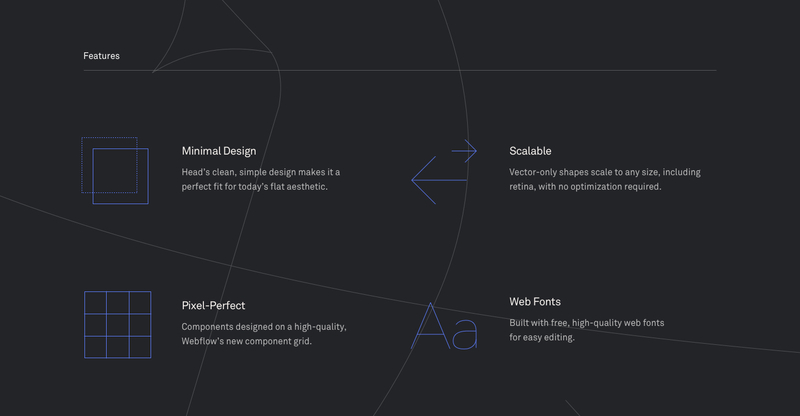 👉 View all Free UI Kits Design Resources.